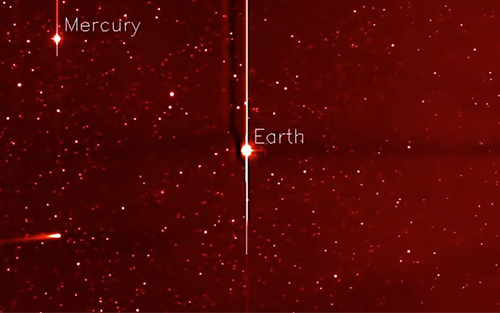 Astronomers waited with anticipation as Comet ISON neared the sun. What they saw next left them baffled. 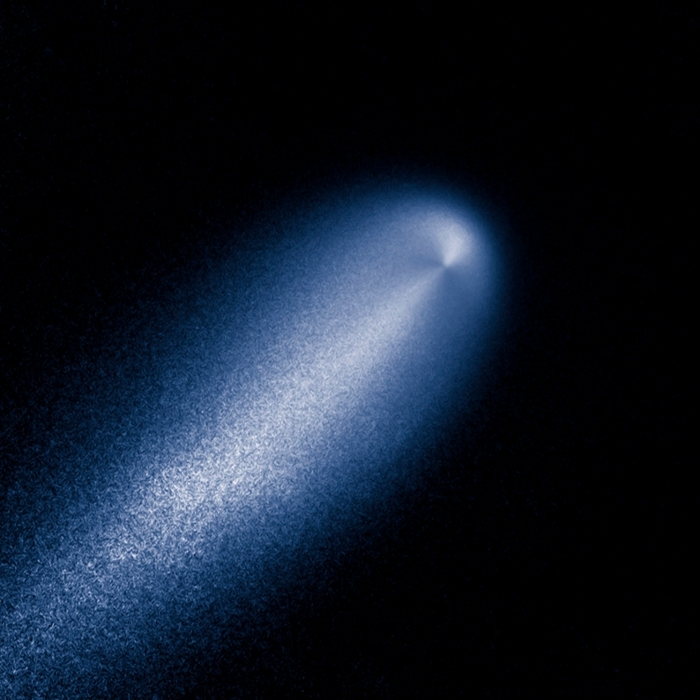 Comet ISON's disappearance has remained a mystery for years. Scientists had speculated that original estimates of ISON were too large. New research challenges this reading, and explains the probable fate of the space traveler. On Thanksgiving Day in 2013, solar scientists, astronomers, and amateur skywatchers alike pointed their instruments at the sun and waited. Comet ISON, a bright ball of frozen matter from the earliest days of the universe, was inbound from the Oort Cloud at the edge of the solar system and expected to pierce the sun's corona on November 28. Scientists were expecting quite a show. But instead of a brilliant cosmic display, there was … nothing. Look! Up in the sky. Comet ISON, Mercury, Comet Encke and Earth over a five-day period from Nov. 20 to Nov. 25, 2013. The sun sits right of the field of view of this camera. Courtesy NASA/STEREO. "The first thing we did was make sure that we had definitely seen nothing," said Paul Bryans, a solar scientist at the National Center for Atmospheric Research (NCAR), who was looking for the comet using NASA's Solar Dynamics Observatory (SDO). "We did image processing just to make sure nothing was there, and it wasn't. But that's not necessarily a boring result. That can tell us something." And it has. Bryans and colleague Dean Pesnell, of the NASA Goddard Space Flight Center, recently published a study that sheds light on the mystery of Comet ISON. "We think that the most likely thing that happened is that Comet ISON broke up before it got really close to the sun," said Bryans, a researcher at NCAR's High Altitude Observatory. Solar scientists like Bryans are interested in comets like ISON because they can act as probes into the mysterious solar corona. How they behave on their journey past the sun can offer insight into the corona's composition and the behavior of the sun's magnetic field. Sun-grazing comets are not that unusual, but they're usually too small to live through the encounter. Larger comets, like Comet Lovejoy which sailed through the sun's corona in December 2011, can survive brushes with the sun. But they burn off a large part of their masses in the process, sometimes leaving a dazzling trail of extreme ultraviolet emissions in their wake. Comet ISON, first spotted more than a year before it reached the sun, was thought to be large enough to survive the trip. The comet was very bright, a sign that it might also be quite large. When NASA observatories failed to see a showy trail from Comet ISON — or any trail at all — scientists were left wondering what happened. In a study published in 2014, researchers hypothesized that Comet ISON did not emit the extreme ultraviolet radiation like Comet Lovejoy because ISON passed further away from the sun. In the new study, published in The Astrophysical Journal, Bryans and Pesnell challenge those conclusions. Using data collected by the SDO, the researchers compared ISON to Lovejoy, systematically evaluating how the conditions might have differed for the two comets — including the density of the solar atmosphere, the sun's magnetic field, and the size of the comets — as well as how those differences might have affected the comets' emissions of extreme ultraviolet radiation. "Using Lovejoy as a benchmark, we took each factor in turn," Bryans said. "The fact that ISON was further away from the sun than Lovejoy would have made a difference, but it was not a large enough difference to explain why we saw nothing from ISON." Instead, the study finds that ISON's fizzle is best explained by the comet's size. They estimate that ISON's radius was at least a factor of four smaller than Lovejoy's. If Bryans and Pesnell are correct, it means that estimates of Comet ISON's size before it reached the sun were too large. Comet size is correlated to brightness, but other factors can affect brightness as well. In ISON's case, scientists believe the comet was making its first trip around the sun, which means that it was still packed with highly volatile matter that had not yet burned off. This matter could make the comet appear brighter for its size than a comet that had already traveled once past the sun. "On a comet's first passage past the sun, it has all this cold, icy stuff on the outside of it that burns off easily and looks really bright," Bryans said. But even if the comet was bright because of its size, the scientists believe it’s likely that the comet broke into pieces before entering the sun's corona. "It's possible by the time it made its closest approach to the sun, it was just a pile of dust and rubble," Bryans said. Want to know more? Read the original article over at Atmosphere News.